The Olympics are over and that can only mean one thing: the hiatus is over too! Every two years, rotating from summer to winter, TV shows takes a break while for a few weeks while the ratings hit sports event dominates the airwaves. Don't get me wrong - I like the Olympics... but I also like my scripted and reality shows as well. Now that the break is done, I can get back to some other problems, like catching on the last cliffhanger! This week on The Originals, Elijah and Marcel search for Klaus and Rebekah, secrets are revealed about Genevieve's past, and sibling rivalry comes back in full force. Sophie is dead. Gone. Resting in the family crypt and won't be coming back, especially since the actress is in a new NBC pilot. Picking up from the last episode, the witches are laying Sophie's body to rest but Elijah has another idea. He disturbs the ceremonial burial (with a few fists and elbows - he snapped two necks with ease) and demands that Monique tell him where Celeste has hidden his missing siblings. I'm not sure what Monique did on the other side but apparently she lost a bit of her mind. She casually smiles at the Original and sends him a message from Celeste - covering his entire body in names and telling him to solve the mystery to find his siblings. The mysterious names, which included Sabine's, were deduced to be the former inhabitants of Celeste's possessed soul. By solving the mystery the names would disappear but which name was it? The name belonged to a witch named Clara, and while Elijah couldn't recognize her face from an old photo Hayley found - Marcel sure did and he had some explaining to do. Rebekah and Klaus aren't far; they're not even outside of New Orleans. 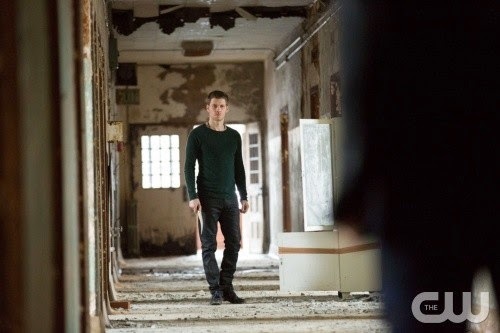 After the attacks from Genevieve and Bastianna, they were taken to the abandoned Fleur-de-Lis Sanitarium where each was tortured in two separate methods: Klaus with physical pain from Papa Tunde's blade and Rebekah with delirious visions. Rebekah's personal torture may have been the worst. She's still infected from the werewolf bites, she can't use her powers and she's seeing the deceased bodies of ghosts. Genevieve has her own reasons for hating Rebekah - after all, the Original daughter did kill her! 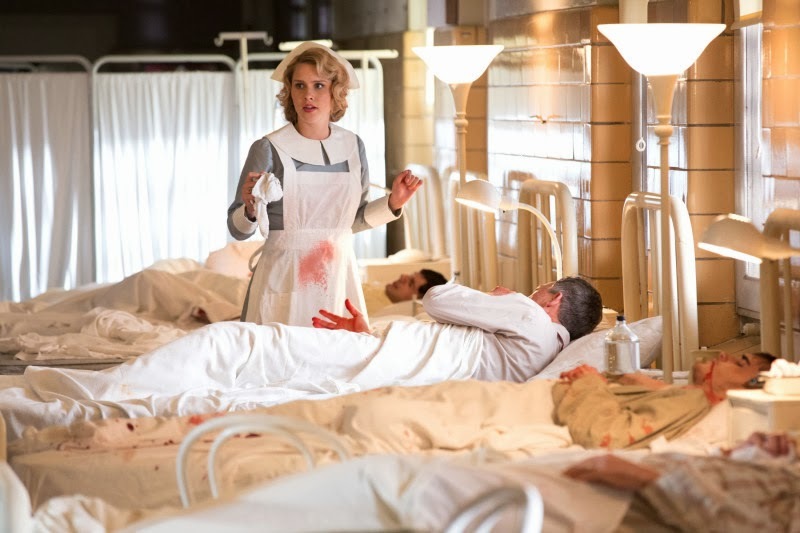 From photos uncovered by Cami, we knew a little bit about Klaus and group's past in New Orleans; this time we found out more about Rebekah and Marcel's dark secret in 1919. The lovestruck pair plotted to have Mikael, the Mikaelson's father and resident vampire hunter, come to New Orleans to distract Klaus so the pair could escape and be together. For this to ultimately happen, Rebekah needed the help of a witch to contact Michael, that's where Genevieve came in. In the past, both Genevieve and Rebekah worked at the hospital during the tuberculosis outbreak as nurses. Rebekah took a shine to her new friend and invited her, along with Clara, out for drinks and jazz merriment. Turns out that the Elder witch has a thing for Klaus and while using this new friendship, Rebekah manipulated her friend into sending a message out to Mikael. Unfortunately for their plans, they had second thoughts to cancel the spell but the damage was done. Rebekah couldn't let her betrayal come to light and have Klaus find out, she had to tie up loose ends. She forced a bloody rag down both Genevieve's and Clara's mouth, causing the pair to become infected with tuberculosis and die a slow death. Celeste was inhabiting Clara's body at the time - she could be free to move on to the next body but Genevieve, on the other hand, died. While Rebekah ran desperately throughout the building, Genevieve was taking Klaus down memory lane, spilling every dark secret about why Michael discovered them in New Orleans. Klaus, at first, doesn't believe his sister could do that but Genevieve is great a convincing him.She offers him her blood and Papa Tunde's blade to kill his devious sister and after a few fights, the rebellious Mikaelson is ready to silence his sister forever. Marcel and Elijah break up the fight in time and Elijah stabs his brother with the blade, stopping him in his pursuit to kill Rebekah and Marcel...only for now. Will Klaus seek his revenge against Rebekah and Marcel? Could Genevieve betray her witches for Klaus? Share your thoughts in the comments below.